Lonely Planet’s Best in Travel 2017 is the highly anticipated collection of the world’s hottest trends, destinations and experiences for the year ahead. The bestselling, inspirational travel yearbook from the world’s leading travel authority highlights the top ten countries, cities, regions and best value destinations that Lonely Planet’s experts recommend travellers experience in 2017. 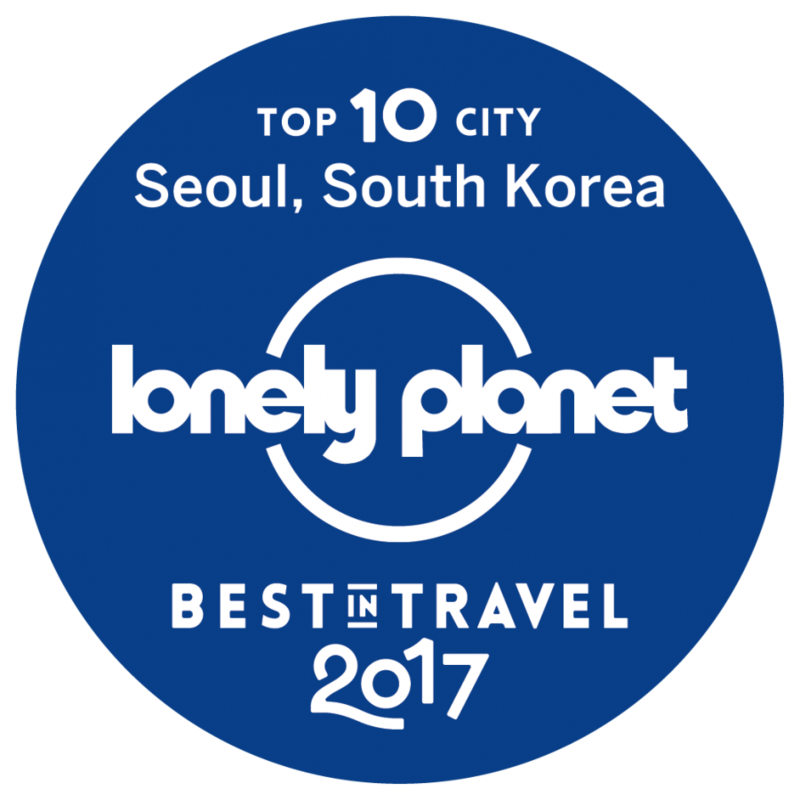 We are delighted to announce that Seoul has made the top 10 cities category and follows on from Jeonju city being within the top three of Lonely Planet’s first ever Best in Asia List earlier this year. Seoul was described as a city ‘striving to become a greener, more attractive and user-friendly metropolis’; with the 2018 Winter Olympics in Pyeongchang on the horizon, Korea’s capital city will again be part of making this huge event a success and will welcome the world to Korea before events take place in Pyeongchang, Gangwondo Province. Thanks in part to ‘Hallyu’ the contemporary wave of Korean culture, our country has become a trendsetting and enthralling destination amongst a very savvy travelling public and we are happy that Lonely Planet agrees!